For this 'Ten Years On' post we take a look back at "Wolf Creek". I still remember the hype surrounding this release, it wasn't massively promoted here in the U.K. so it had this mystique about it. Funnily enough unbeknown to the crew, the abandoned mine where they chose to film had actually been the site of the real life murder of a woman. This prompted a protest from locals who mistakenly thought the film was about those events. 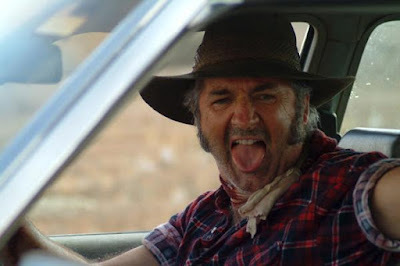 John Jarratt spent weeks living in the outback preparing for the role of 'Mick Taylor'. He also avoided bathing before shooting, furthermore he created a detailed biography for the character although he wouldn't reveal the details to anyone. A very eerie coincidence occurred for the crew sent out to get footage of the Wolf Creek Crater. Since the location was many hours from any town the small crew decided to camp out in their car at the site after shooting. During the night a mysterious stranger showed up in a truck to investigate. The stranger indeed looked very much like the character of Mick Taylor, right down to the rustic truck. The stranger left, but the crew was so spooked that they drove an hour down the road before finally stopping to camp for the night. This film put Director Greg McLean on my radar and I've enjoyed his other releases such as "Rogue", it's a shame his career never really took off. The same goes for Jarratt,I thought his career would've exploded but he's only enjoyed mild success since. 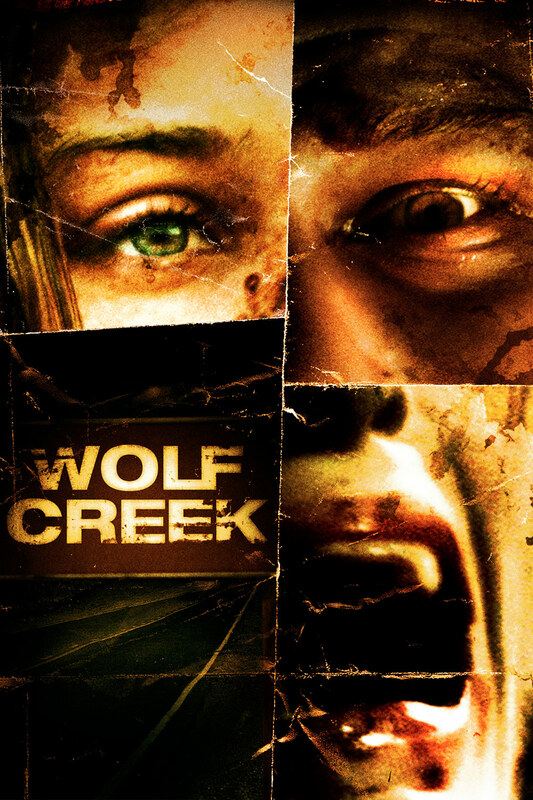 "Wolf Creek" drew fans attention back to the Australian Horror scene and that was great to see, it also gave us on of the scariest villains with 'Mick Taylor' and it's always great to have a new villain to enjoy.